Historier från samlingarna | Every Swede consumes 13 kg of textiles a year. Isn’t it time that #CircularFashion becomes mainstream? Every Swede consumes 13 kg of textiles a year. Isn’t it time that #CircularFashion becomes mainstream? 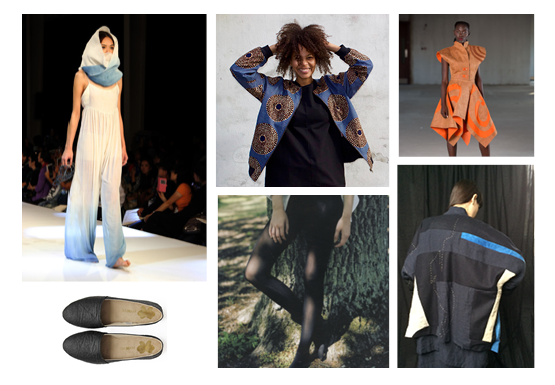 Meet six European designers who are championing this movement. Fashion has always been innovative. Just take a dive into our museum collections. You’ll find amazing examples of clothing, textiles and fabrics from across the world that use techniques that are the foundation of circular fashion today. Inspired by the traditions from Japan, New Zealand and the Arctic, we started a creative dialogue with six European designers who are championing Circular Fashion. In the process we’ve discovered some fantastic innovations: from pantyhose made from recycled yarn to vegan shoes. 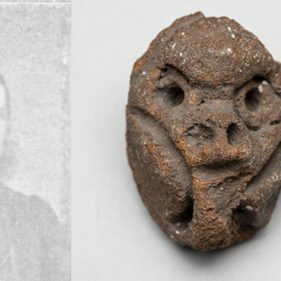 Find out more about the six designers who responded to objects from our collection with items from their own collections. Then participate in our Twitter poll to select two designers who will be featured in our museum shops in Stockholm and Gothenburg in 2017! Who will you select from the shortlist for our museum shop in Gothenburg? Jeanette is an artist and researcher inspired by the huge challenge of clean water for our future. Led by her interests in nature and human ecology, she works with fibres, water and natural dyes. We sent her an indigo-dyed kimono from Okinawa in Japan. 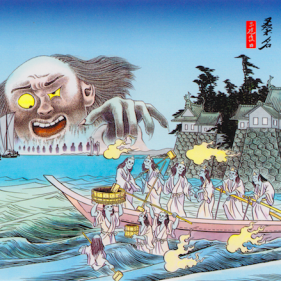 She responded with Ageless water eternal colour. In this piece she used natural dye colour and indigo from the woad plant. Would you like to see this this piece in our museum shop in Gothenburg? If so, make sure you follow us on Twitter and participate in our poll on Wednesday, December 14. Secret Samples want to marry classic Danish design with African textiles. In the process they have established a great collaboration with Kenya’s first Fair Trade clothing company. 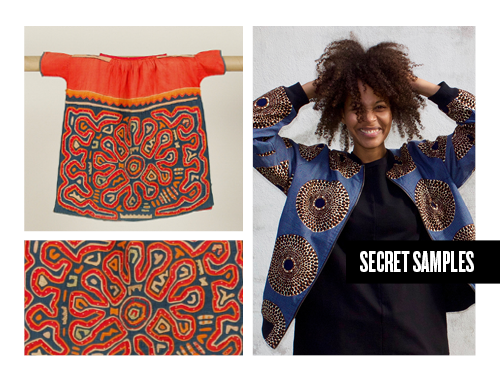 When we sent them pictures of molas from Panama, they responded with a design named Koti from the Pamoja collection. Would you like to see Koti in our museum shop in Gothenburg? If so, make sure you follow us on Twitter and participate in our poll on Wednesday, December 14. Po-Zu is a sustainable footwear brand on a mission to halt the damage that modern footwear manufacturing causes to people and the planet. Intrigued by their use of natural materials, we sent them photographs of anoraks made from intestines of seals. 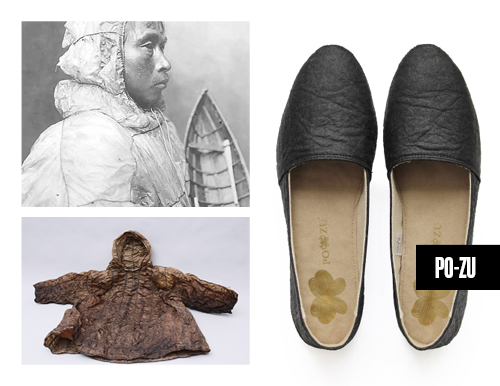 These anoraks have been used in Arctic environments such as Aleuts, Alaska and Greenland. They sent us a vegan shoe, crafted from Piñatex, a leather substitute made from pineapple leaf fibres. Would you like to see this this shoe in our museum shop in Gothenburg? If so, make sure you follow us on Twitter and participate in our poll on Wednesday, December 14.
Who will you select from the shortlist for one of our museum shops in Stockholm? 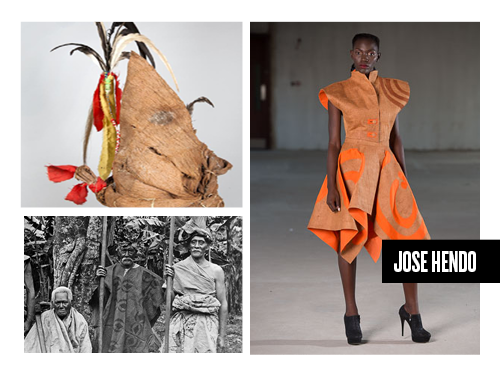 José challenges the wasteful methods of the fashion industry. Using materials like hemp, bark cloth and recycled textiles, she creates unique garments that combine contemporary style with heritage. We sent her images of indigenous people in Indonesia and New Zealand wearing bark cloth garments. She responded with a two-piece outfit made from barkcloth from the Identity My Way collection. Would you like to see this this item in one of our museum shops in Stockholm? If so, make sure you follow us on Twitter and participate in our poll on Thursday, December 15. 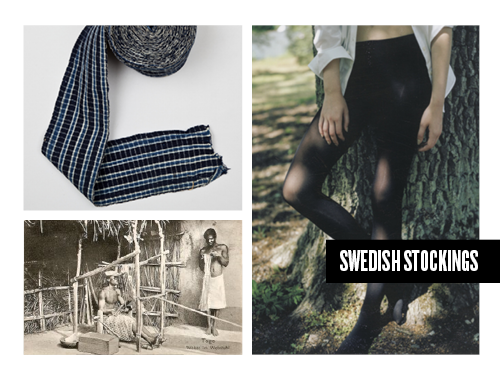 Swedish Stockings make nylon tights from recycled yarn. We were impressed by how they turn waste into a high quality product! We sent them photographs of traditional West African textiles called aso-oke. They responded with an image of their 60 Denier pantyhose ‘Olivia’ . Would you like to see this item in one of our museum shops in Stockholm? If so, make sure you follow us on Twitter and participate in our poll on Thursday, December 15. 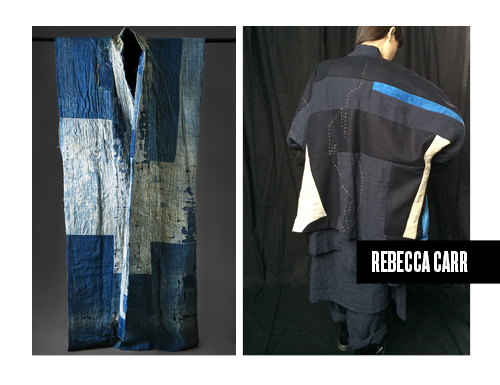 Rebecca Carr caught our attention with her recent collection, which is inspired by Japanese traditions of Sashiko and Boro. 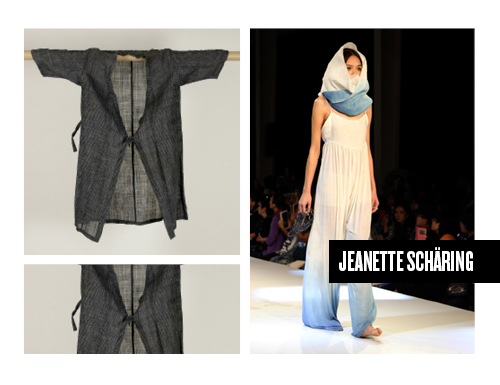 We sent her an image of a cover in the shape of a sleeveless kimono from Ichiroya in Japan and she responded with an exquisite quilted jacket. This jacket, like several items from Rebecca’s collection, has been a collaboration with a local craftsperson. 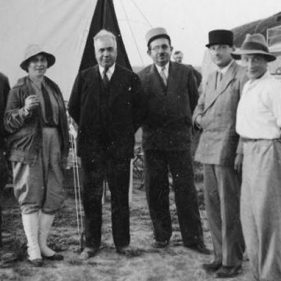 In this case her collaborator is Tessa Layzelle, a quilt maker from York. Would you like to see this jacket in one of our museum shops in Stockholm? If so, make sure you follow us on Twitter and participate in our poll on Thursday, December 15. Have your say, take part in our Twitter poll on December 14 and 15! Now that you’ve read about the designers and their creative response to objects in our collection – select your favourite! Take part in our Twitter polls to choose the designer you would like to see featured in our museum shops in Stockholm and Gothenburg. Follow us on Twitter here. The polls will run on December 14 and 15. We will announce the two selected designers on Friday, December 16. Their designs will be featured in our museum shops in Stockholm and Gothenburg in 2017 – so help us spread the word! This project was created by the National Museums of World Culture, Sweden in collaboration with The Swedish Digital Identities Programme (#swedip), a development program which aims to help museums co-produce innovative ideas with communities. 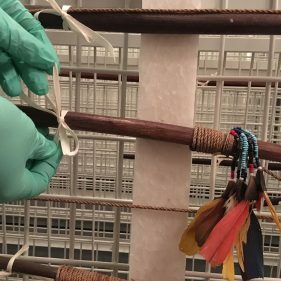 The working group at the Museums of World Culture consisted of: Michael Barrett, Gabriel Franzén, Magnus Johansson, Lena Stammarnäs and Johanna Väpnargård, with help from Jennifer Lindblad and Malin Hultman. Read more at IDEK. (Don´t forget that you do the selection on our Twitter on Wednesday and on Thursday).